When your kitchen has moved outdoors, you want a grill that can handle cooking all parts of the meal without making trips back to the house. 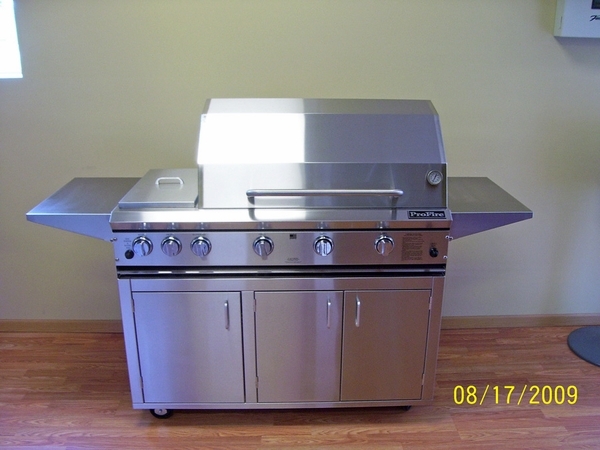 A hybrid grill like this one that includes a double side burner is a considerable help. The main cooking area boasts a spacious 9" x 14 3/4" infrared burner that sears the meat quickly, keeping flavorful juices inside. If you prefer to do some rotisserie cooking, the rear broiler with rotisserie is right at your fingertips. The cart that is included with this high-quality commercial-grade stainless steel grill means that it can be moved to a suitable site without complications.